We are the carpet, upholstery and mattress cleaner of choice for many residential, end of lease and commercial clients across the Illawarra. We regularly service hotels & motels, strata & body corporate complexes and small to large sized businesses. We always strive to offer a friendly and reliable service that exceeds expectations so that clients will use us over & over again & will be comfortable in referring us to friends & colleagues. We can generally quote a job over the phone or via email as long as you are accurate with the information you provide. Up to now, I have only experienced the traditional steam cleaning method of cleaning carpets and rugs. However, this was the first time all my rugs were cleaned with the technique used by Stay Clean. I was amazed at the difference. Stay Clean’s technique is definitely superior to steam cleaning. The last time my rugs looked this good was when they were new. So I was very impressed, both with the quality of cleaning, the prompt and friendly service, and the very reasonable cost. 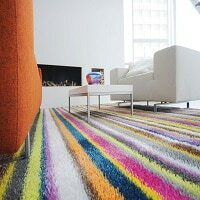 I would only have Stay Clean look after my rugs and carpet in future, and would strongly recommend them. 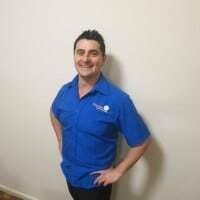 Stay Clean Carpet Cleaning annually clean our carpet at our Hillross office in Fairy Meadow and each time the carpet looks new again, it’s amazing. Both the standard of work and the professionalism is outstanding. I have no hesitation in recommending Stay Clean Carpet Cleaning. I would like to thank you for the magnificent job you have done on my carpet. I have had several carpet cleaning companies over the years and I have never seen the fabulous results that you achieved when doing my carpets, you removed stains that I thought would never come out and you have made my carpet look like new again. I appreciated the time and care you took with doing my unit and the knowledge you shared with me about any future stains and how to treat them. I have told all my friends about Stay Clean and could not praise you and your company enough. Simply Superb, Efficient & Friendly, with an outstanding result every time – the additional care and attention always shows. No other carpet cleaner compares and that’s why it is always so easy to refer Stay Clean Carpet Cleaning to my clients.